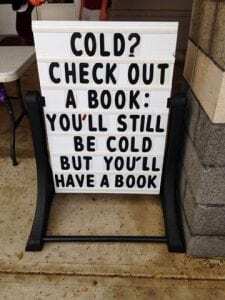 If one of your New Year’s Resolutions is to read more books in 2019 we have a great list to get you started. With titles like The Testaments by Margaret Atwood, The Paragon Hotel by Lyndsay Faye, On the Come Up by Angie Thomas, and Two Can Keep a Secret by Karen M. McManus, it looks like 2019 is shaping up to be a great year! Be on the lookout for these books and others like them to hit our library shelves. The year is 1921, and “Nobody” Alice James is on a cross-country train, carrying a bullet wound and fleeing for her life following an illicit drug and liquor deal gone horribly wrong. Desperate to get as far away from New York City and those who want her dead, she has her sights set on Oregon: a distant frontier that appears to be the end of the line. 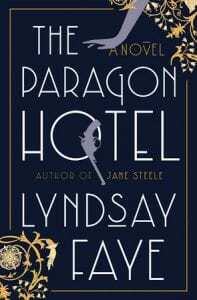 But her safe-haven turns out to be the only all-black hotel in the city and its lodgers are terrified of a white woman on the premises. Still, as the Ku Klux Klan continues to arrive in fearful numbers, this unlikely “family” are the only people willing to search for the missing child who mysteriously vanished into the Oregon woods. “To say this collection is transgressive, provocative, and brilliant is simply to tell you the truth.” -Roxane Gay, author of Hunger and Bad Feminist. In these eight piercing essays on beauty, media, money, and more, Tressie McMillan Cottom fills an important void on bookshelves: a modern black American feminist voice waxing poetic on self and society, serving up a healthy portion of clever prose and southern aphorisms as she covers everything from Saturday Night Live, LinkedIn, and BBQ Becky to sexual violence, infant mortality, and Trump rallies. 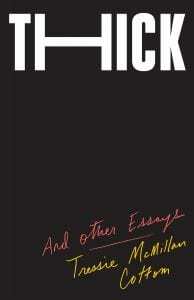 Thick speaks fearlessly to a range of topics and is far more genre-bending than a typical compendium of personal essays. Raised on an isolated island, women are taught to fear the chaos and violence of men on the mainland. 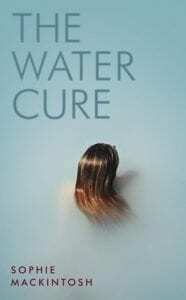 The cult-like rituals and therapies they endure fortify them from spreading toxicity of a degrading world. But when the only man they’ve seen disappears and in exchange two men and a boy wash ashore, a psychological cat-and-mouse game plays out. 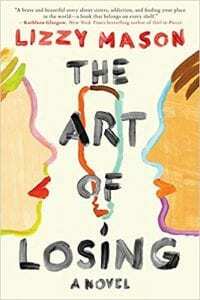 Sexual tensions and sibling rivalries flare as the women confront this amorphous threat. Can they survive the men? 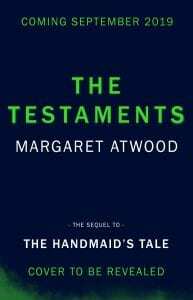 In this brilliant sequel to The Handmaid’s Tale, Margaret Atwood answers the question that has tantalized readers for decades: What happens to Offred? At 28, Stephanie Land’s plans of breaking free from the roots of her hometown in the Pacific Northwest to chase her dreams of attending a university and becoming a writer were cut short when a summer fling turned into an unexpected pregnancy. 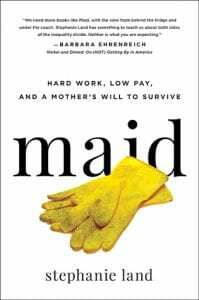 She turned to housekeeping to make ends meet, and with a tenacious grip on her dream to provide her daughter the very best life possible, Stephanie worked days and took classes online to earn a college degree, and began to write relentlessly. She wrote the true stories that weren’t being told: the stories of overworked and underpaid Americans. 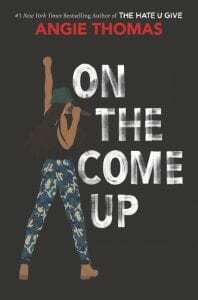 Of living on food stamps and WIC coupons to eat. Of the government programs that provided her housing, but that doubled as halfway houses. The aloof government employees who called her lucky for receiving assistance while she didn’t feel lucky at all. She wrote to remember the fight, to eventually cut through the deep-rooted stigmas of the working poor. Holly Black already hooked us with Jude’s adventures in Faerie in the New York Times bestseller The Cruel Prince. 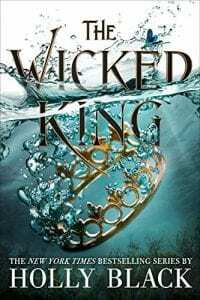 In this sequel, Jude is bound to the wicked king, Cardan, to keep her brother safe. But when she learns that someone close to her will betray her, she must uncover them while fighting her complicated feelings for Cardan to maintain control. When Ellery moves to Echo Ridge she discovers darkness lurking underneath this picture-perfect town. Decades ago her aunt went missing at age 17 and five years ago the homecoming queen was murdered. Now someone has declared open season on homecoming, promising to make it just as dangerous as it was five years ago. 16-year-old Bri wants to become one of the greatest rappers of all time but as the daughter of an underground rap legend she has big shoes to fill. And with bills piling up and homelessness starring her family down, Bri doesn’t just want to make it – she has to make it. For fans of Gilmore Girls and To All the Boys I’ve Loved Before! Rosa is cursed by the ocean – at least that’s how it feels. 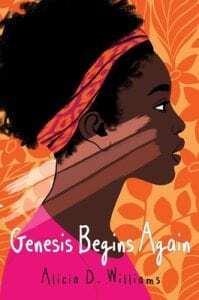 Caught between cultures and choices: between her abuela, a pillar in their community, and her artist mother who crashes in and out of Rosa’s life like a hurricane, between Port Coral, the South Florida town they call home, and Cuba, the island her abuela refuses to talk about. 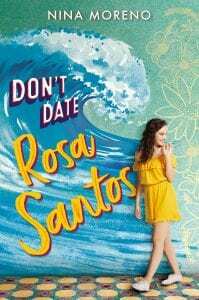 So when Rosa collides – literally – with Alex Aquino, the mysterious boy with tattoos of the ocean on his arms, is Rosa willing to risk her family and future to break the curse? 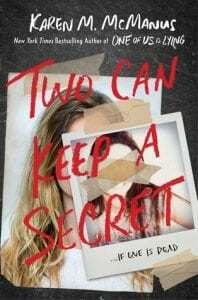 After Harley Langston discovers her boyfriend, Mike, hooking up with her sister, Audrey, she thinks she has hit rock bottom. Until the next day when Mike’s drunk driving attempt ends with Audrey in a coma. Consumed by both rage and guilt, Harley uses this shared tragedy to explore the relationships in her life while hoping for any signs of improvement from her comatose sister. In honor of Valentine’s Day, Pastor Dennis tells his community they will put together love boxes for those in need. James Otis and his mama just lost his father, dog, and house and doesn’t think he has anything left to give. But then the pastor reminds him the best gifts come from the heart. 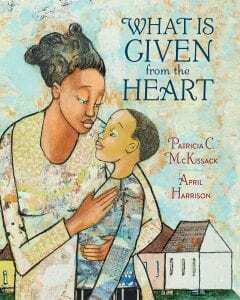 This is the last picture book from Coretta Scott King Award winner and Newberry Honor author Patricia C. McKissack, who passed away in April 2017. There are a lot of things 13-year-old Genesis doesn’t like about her life. She hates her father gambling away their rent money, how she and her mother have to move in with her grandmother, the bullies at her new school, and that she’s not light skinned like her mom. But with encouragement from her new chorus teacher, Genesis starts feeling good about herself for the first time. Her journey teaches young readers to love themselves from the inside out. 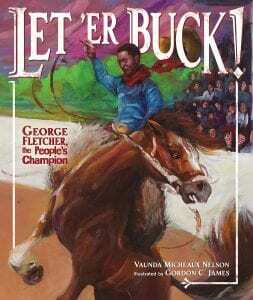 This picture book biography follows African-American rodeo legend George Fletcher on his journey to the 1911 Pendleton Round-Up. However, when a white rider is awarded first place, a local sheriff organizes a campaign for George Fletcher, who is proclaimed the “People’s Champion”.